Titanium Alloy Grade 2 Round Bar, Titanium Gr2 Round Rod, UNS R50400 Round Bars, Titanium Alloy UNS R50400 Forged Round Bar, DIN 3.7035 Cold Finish Round Bar, Titanium WERKSTOFF NR. 3.7035 Hot Rolled Round Bars, ASTM B348 Titanium Round Bar, EN, DIN, JIS, ASTM, BS, ASME, AISI Round Bar, Titanium Alloy Grade 2 Bar Supplier in Mumbai, India. 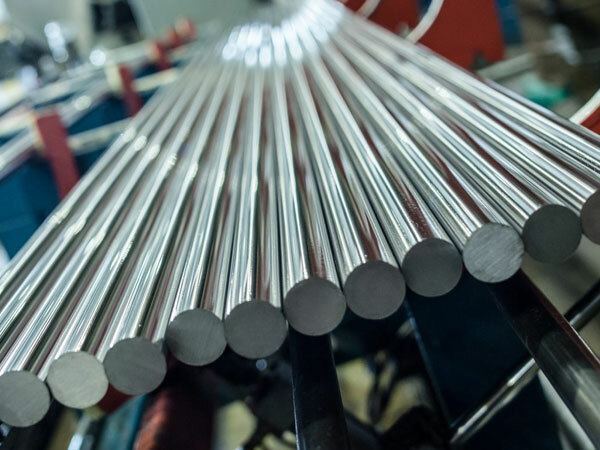 Titanium Gr2 Round Bar, Titanium Alloy Grade 2 Rod Exporter, Titanium Alloy Grade 2 Hot Rolled Round Bar, Titanium Alloy Grade 2 Cold Finish Round Bar, Titanium Gr2 Round Rod, Titanium Gr2 Round Bar, Titanium Alloy Grade 2 Rods Manufacturer in Mumbai, India. Jayesh metal is the esteemed industry that is engaged in offering the wide comprehensive range of Titanium Gr 2 Round Bar. These grade bars are exceptionally popular for many industrial applications. It requires being the mechanized method for making the block and plate and it still consisting manual process. Titanium Gr 2 Round Bar is itself lending to the multitudes of the products. The medical field is using the smaller diameter of bars for body implantable fasteners and dental appliances. The industry as the supplier, producer, stockiest and exporter is offering the bars in custom-made specifications in wall thickness and size as per the exact demand of the esteem patrons. The item is offered to them at economical rates. The dimensions of it are DIN, JIS, EN, API, ASME, BS, and AISI. The standard specification of it is ASME SB 348 and ASTM B 348. The size of it is ranging from DIA 6.0-200mm x length 1000-6000mm. The tolerance of the item is H8, H9, H11, H10, H12, K11, K10, K12, and H13. The forms in which it is available is round, square, billet, rectangle, Ingot, forging, hex etc. the finishes of it is bright polished, black, rough turned, No4 finish, BA finish and matt finish, the length of it is single random, double random, required length and custom length etc. The Titanium Gr 2 Round Bar is undergoing several testing to assure high quality of bars productions. The testing is like positive material identification test, intergranular corrosion test, flattening test, flaring test, macro test, micro test, hardness test, chemical test, and mechanical test. Titanium DIN 3.7035 Bright Bars manufacturer in india, Titanium UNS R50400 Square Bars manufacturer in mumbai, Titanium Gr2 Cold Finish Round Bar, Titanium Gr2 Round Bars Exporter, Titanium Gr2 Round Bar Manufacturers in India, Titanium Gr2 Forged Bar supplier in mumbai, ASTM B348 Titanium Alloy Grade 2 Black Bar, ASTM B348 Titanium Gr2l Round Rod supplier in india, ASTM B348 / SB348 Titanium Forged Round Bar Supplier In Mumbai, Titanium Alloy UNS R50400 Hex Bar dealer in mumbai, Titanium Alloy Grade 2 Rod supplier in india, Gr2 Titanium Round Bars Manufacturer, Titanium Alloy Grade 2 Round Rod, Titanium DIN 3.7035 Round Bars manufacturer in mumbai, Titanium Alloy Flat Bar exporter in india, Titanium Gr2 Threaded Bars, Titanium Alloy DIN 3.7035 Rectangular Bars.